When I moved to LA in 1970, to work as a songplugger for VIVA Music, my new songwriter friend Alan O’Day (“Undercover Angel”, “Angie Baby”, “Rock and Roll Heaven”) who took me to a meeting of the Los Angeles Songwriters Showcase (LASS), where I met Len Chandler, the late Mandy Martin, and John Braheny for the first time. I was impressed by the loving support system they built for new and seasoned songwriters to shield themselves from the harsh reality of the music business while they developed their craft. 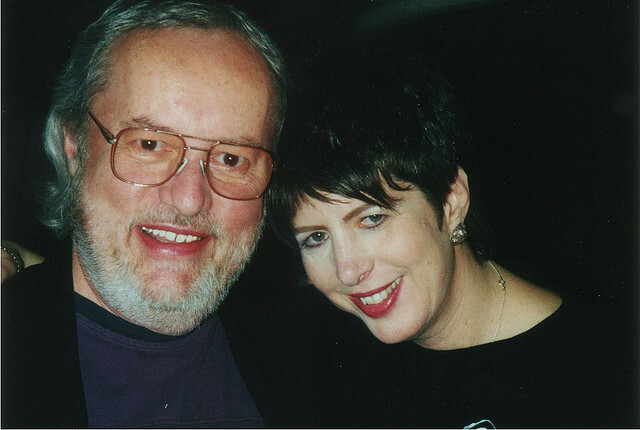 Over the years I stayed in touch with John, helped me out whenever I needed it, from showcasing my staff writers at Warner Brothers and Irving/Almo music to finding me new writers when I went into business for myself. To my dear friend John Brahaney, thank you for being there when no-one else was and believing in me when no one else did. Rest in Peace. I believe he is in a place of peace. But we have to endure, keep his spirit alive, and try to be as giving & generous as he was. And be as helpful as possible to JoAnn, without being intrusive. She has been brave and positive through John’s years of worsening illness. This is a terribly sad day. But there is a silver lining in the insights and heart he has shared with so many of us. Scott Docherty Sad day, indeed. Chad Watson Well put, my friend…Amen. T.j. Kirby i am so sorry to hear this RIP John it was a pleasure to know you and to Joann Rene, and i send prayers oh the miles and times we have traveled. God Bless. Guy Aoki So sad. He dedicated his life to helping songwriters. Eric Sheppard I’m sorry your to hear about the loss of your friend Alan. Ron Sarfaty Very sad to hear that he has passed. He will be missed by those left here and celebrated by those he joins. I’m quite sure Mandi and John are enjoying a visit while watching over us all. Rest in Peace, my friends. You will always be remembered. Scotty Dowle Sr. My thoughts and Prayers go out to John, and my sincere condolences Alan. Catte Adams SO sorry you lost your dear friend Alan. Sending light and peace for your hearts. So so hard to lose a dear close friend…they come so few and far between. Pamela Preston Sorry to hear of your loss. It sounds like he suffered and now can rest easy. I am sure his spirit will live on in you and others who knew him. Prayers to you and all who were dear to him! Loni Specter one of the good guys, gone. R.I.P. Stevie Budesky sorry to hear of your friends loss Alan ! may he rest in peace ! Jeff Byars Alan, sorry to hear about the loss of your friend, John. I have lifted his family and friends up to the Lord in prayer. I’ll call you soon to check on you my friend. Please give Yuka our love! Sue Lopez I’m sorry for your loss, Alan. Keeping you and his family in my thoughts and prayers. Christine Jacoby- Whitosky sorry to hear about the loss of your friend,my thoughts and prayers are with you. Blueflame Singer Sorry to hear about your friend, Alan…. DIane Steinberg Lewis I feel very sad today1 I figured when I hand;t heard from JoAnn that she may be in a rough place. I can;t stop praying for peace for her and the family. R.I.P John! Carol Crawford So sorry for your loss. James Durst It’s probably 35 years since we last communicated, but I so appreciated your encouragement way back when. Yours and Len’s. Goodbye, John. And thanks. Vaya con cantos! Sandy Shanin So sad, Alan. Very beautifully put. So many of us will remember John when we think back on our songwriting careers. He was a great mentor, as you are. Mark Islam We remembered him at Talking Stick tonight, said a few words. Many told me he was a pivotal figure in a lot of lives & careers. Randy Hauck So sorry Alan….. May he rest in peace. My prayers to his family & friends. Lois Blaisch Beautifully put Alan. This is a sad loss for all of us. Rest in Peace John, you are a one of a kind, awesome man. Still here in spirit. and 73 others like this. Jonathan Roberts It’s hard to believe at the moment but I’m imagining him at peace, relieved from his suffering at last and vibrant as he once was. Tom Nicholls Oh no – John you were good. Peter Dergee He was an incredible guy and a songwriter’s visionary…everything about him will be missed. Diane Warren wow Peter!!! true. how r U? Mary Eaton RIP in John…. It was an honor to meet and talk with you… Having you critique my songs meant a lot to me. I thank you for your kinds words and sincerity. Greg Knowles I hadn’t heard…so sad…. Tom Tom Slocum He was a good soul..RIP John. Rich Dickerson I knew he was in the hospital but didn’t know he was that bad. Very sad. John was very supportive of me. I met him at TAXI when I was trying to stay afloat. RIP John. Jennifer Yeko I structured my entire business and much of my life around advice John once gave in a UCLA class, “always look for ways to help other people”. So sad. Ben Brooks John was a doorway into the world of publishing and songwriters for me years ago when I started in the business. He helped me break through my insecurities and made me feel like I belonged. He had unconditional support for songwriters like no one I’ve known since. Jackie Stander What!!!! I’ve known jb and his wife for over 30 years and we always were bumping into each other the last few years what happend? he was always such a great soul and champion for musicians and songwriters heaven is getting some good ones lately…. Leslee Dennis I’m so sorry. Such a sweet man. Geri Duryea A big loss for all. Mike Gormley Bye John. I’ll miss your smile. John and the LASS also presented performing talent that was stellar. Here are a few of the super talents who showcased during that period: Jules Shear IRS Recording artist & hit writer who then had a day gig sewing sequins on shoes; Keith Green who in his short life brought inspiration to many as a Christian artist on Sparrow Records; Alan O’Day later was a staff writer for Warner Bros., had a hit as an artist/writer with “Undercover Angel”; Ed Sanford & John Townsend showcased their soon-to-be hit “Smoke From A Distant Fire”; Stephen Bishop showcased “On And On” and other great songs; Diane Warren began auditioning for the Showcase at the age of 15, and, shortly after, performed in her first public Showcase in April ’74. Len and John critiqued over 150 of her songs; Larry Groce showcased his novelty song “Junk Food Junkie” before it became a #1 hit on his independent label; Baker Knight later wrote the Mickey Gilley country hit “Don’t The Girls All Look Prettier At Closing Time;” Warren Zevon showcased “Poor Poor Pitiful Me,” “Werewolves Of London” and other songs that later became hits for both Linda Ronstadt and himself. John Rhy’s saw his set at the showcase and produced the first LP of those songs before Warren signed with Warner Bros Records; David Clayton Thomas Blood, Sweat & Tears’ former lead singer; Rotunda featuring super guitarist/artist Steve Lukather; Franne Golde just arrived in Los Angeles from Chicago. Later a recording artist, co-wrote the Commodores smash “Night Shift” (see bio for further list of hits); R.C. Bannon has become a successful country hit writer/artist/producer. Other country hitmakers showcased then include Robert Byrne, Kerry Chater, Chick Rains, Kieran Kane and Sandy Pinkard. Stevie Nicks & Lindsey Buckingham turned in a powerhouse performance several months prior to joining Fleetwood Mac. My condolences to Joann, John’s family and friends, and the thousands of people whose lives he enriched. « HAPPY INAUGURATION DAY 2013!.